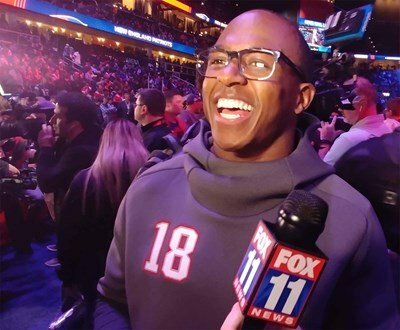 ATLANTA (BP) – Matthew Slater won’t have any divided loyalties when he takes the field Sunday night against the Los Angeles Rams in his fifth Super Bowl. With two Super Bowl victories and two losses, the New England Patriots’ special teams player hopes to have a winning record by the end of the night. He’s not quite as sure about his dad’s loyalties. The game has provided an interesting twist between a father and son who have a tight relationship — and who are also brothers in Christ. When Matthew was 7 years old, Jackie sat him down in his room, took an illustrated Bible and shared the Gospel with his young son. Matthew listened and gave his heart to Jesus that night. Over the years, Matthew learned from his dad a lot of lessons about life, football and faith. Jackie, now the offensive line coach at Azusa Pacific University in California, spent 20 years as an offensive tackle with the Rams — the first 19 in Los Angeles and his final year in St. Louis after the team moved there in 1995. When he retired, his 259 regular-season games played as an offensive lineman set an NFL record. He was a seven-time Pro Bowler and was inducted into the NFL Hall of Fame in 2001. In the radio interview, Jackie said he has been impressed with the graciousness he’s seen in his son Matthew whether he wins or loses, but especially in defeat. After last year’s Super Bowl, when the Patriots lost to the Philadelphia Eagles, Jackie found Matthew after the game to encourage and comfort him. Matthew, who has two kids of his own, said observing Jackie taught him what it meant to be a godly, sacrificial father. 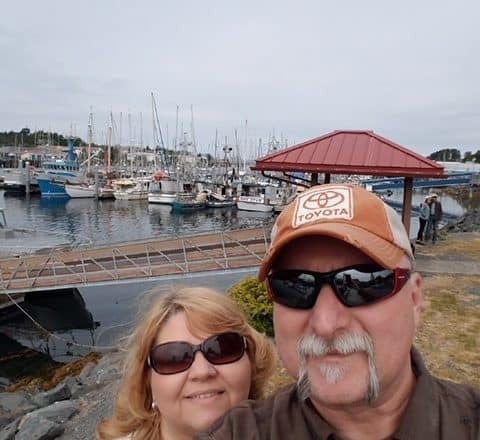 “It takes a lot of sacrifice and patience and being able to put their needs above yours,” Matthew told Baptist Press. “My dad displayed that all the time. Matthew grew up immersed in the Rams’ culture and is grateful for how good the organization has been to his family. But he said he owes the Patriots, a team for which he has played for 11 years, even more — and he’s hoping to help bring them a victory on Sunday, even if doing so might cause his dad some mixed feelings.